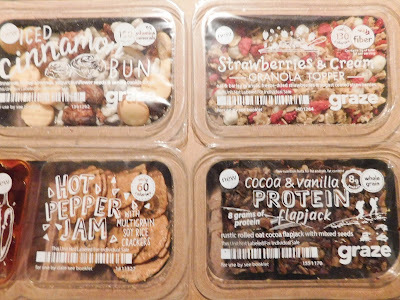 Graze Double Review + Coupon! 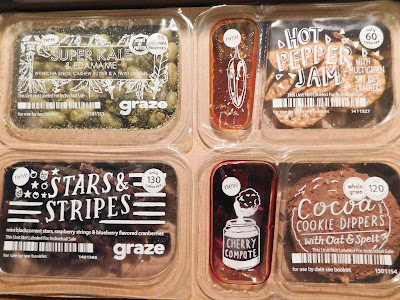 I was bad and forgot to put my subscription on vacation again, so I was sent two boxes from Graze. 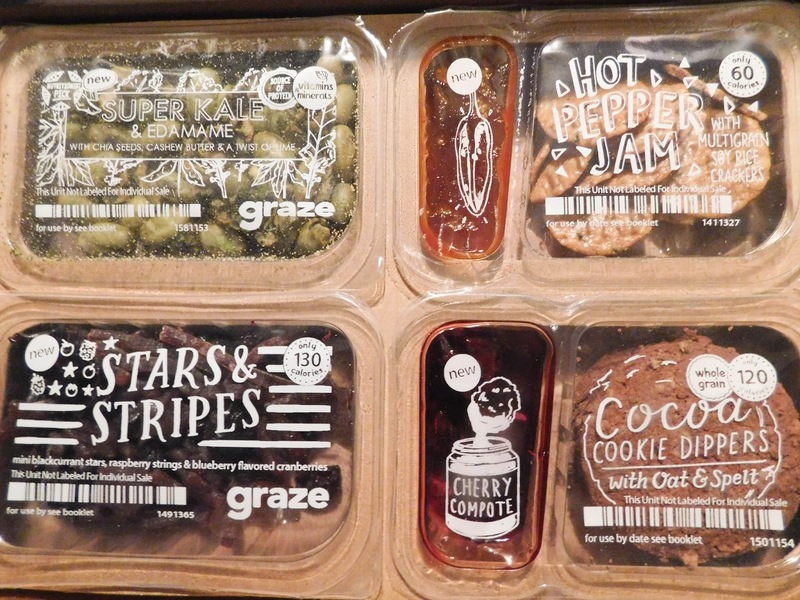 What is Graze? : Graze is a food subscription box with a ton of options. 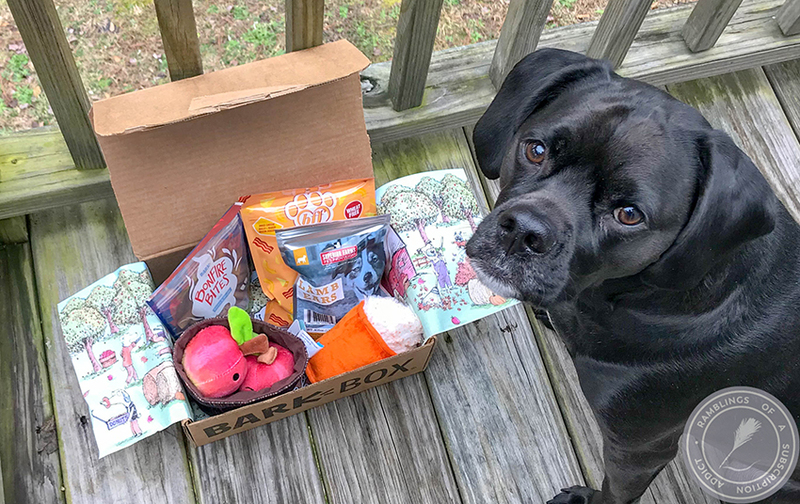 You can get your box weekly, biweekly, monthly, or a one-time box. There's also tons of options on what you can get in your box, including the Variety Box (four or eight), Sweet Treat (eight), Savory (eight), Flapjack (four), Calorie Count (eight), Sugar Count (eight), Protein (eight), or Afternoon Pick-Me-Up (eight). You can also go through all of their food options to rank them as Trash, Try, Like, or Love to change the frequency you get your snacks! How Much is Graze? 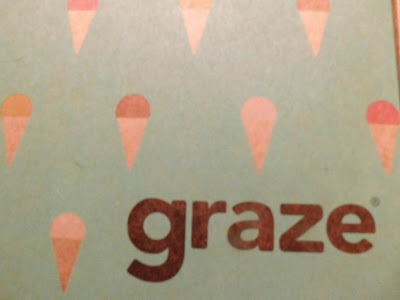 : Graze varies on the price depending on what you get. The boxes with four snacks are $6 each box whereas the boxes with eight snacks are $10 each. 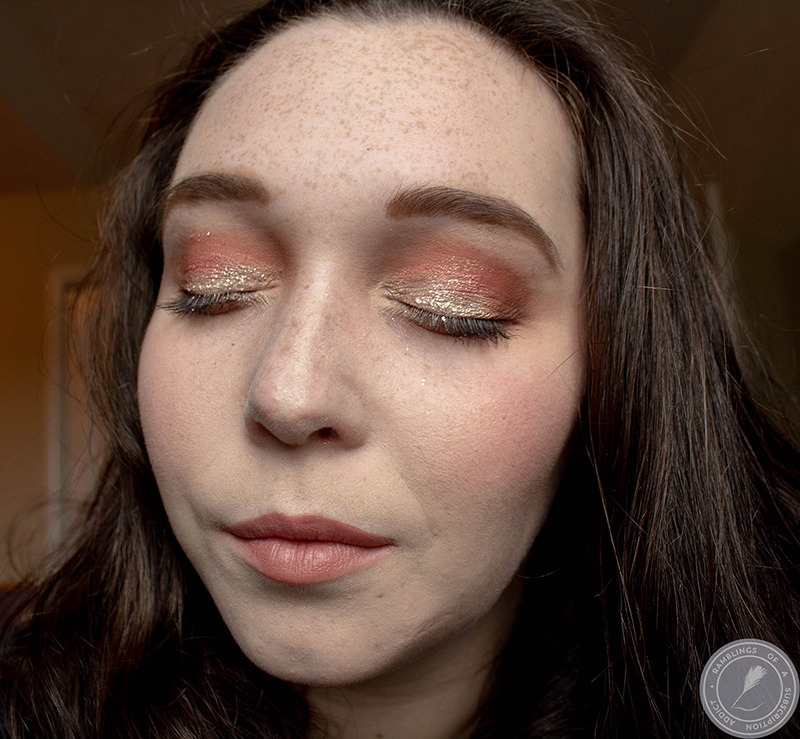 There is also the Sharing Box which is $25 but has way more (click here to check out that review). The boxes come in various designs and they are typically based on the season. There are also regular boxes that are just plain cardboard. This is the Variety Box. It contained Super Kale & Edamame, Hot Pepper Jam, Stars & Stripes, and Cocoa Cookie Dippers. I realized once I opened this that they had included a ton of new snacks that I haven't tried, so my choices are all over the place. I really love the Stars & Stripes (who doesn't like dried fruits), so that was my favorite. The rest will either be sent with my husband for work snacks or they will be given to my dad next time I see him. This is the Calorie Counter Box which included Iced Cinnamon Bun, Strawberries & Cream Granola Topper, Hot Pepper Jam, and Cocoa & Vanilla Protein Flapjack. 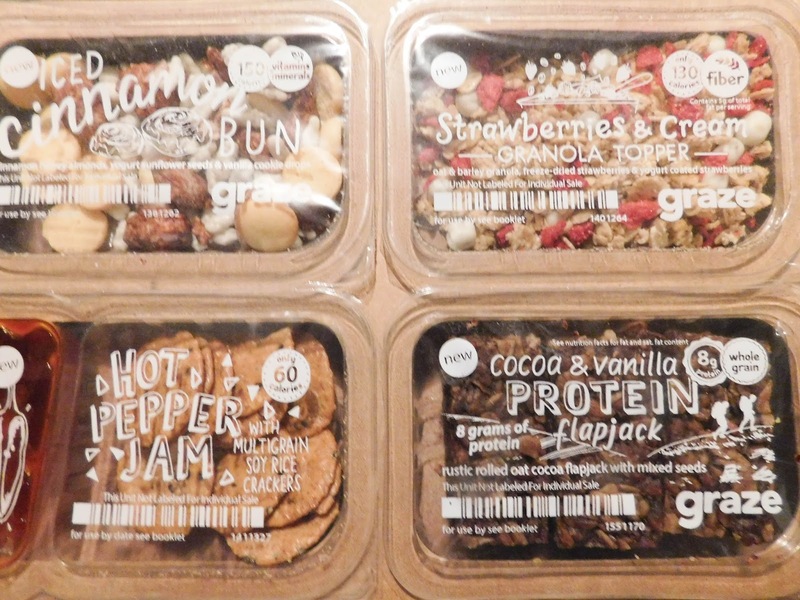 I love the granola toppers and so this one is mine instantly. Also, you can see there is a duplicate between the boxes, which is entirely possible if you order multiple boxes. The flapjacks are amazing and while I hadn't tried this one before, it's still a win. As I said, there is a coupon in this review. 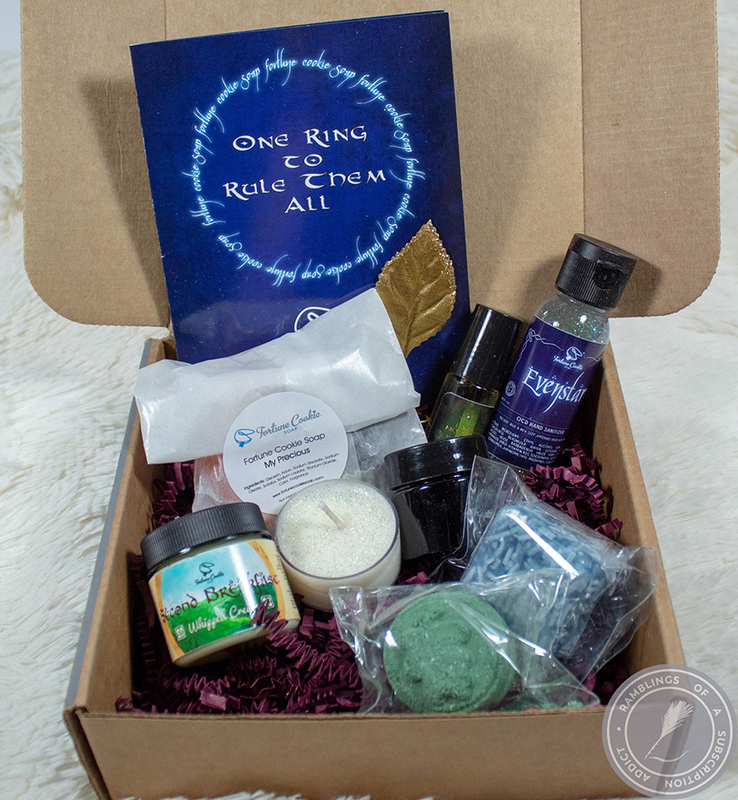 If you click here and sign up for your first box, it will be free! If you stick around for longer than your first box, you will also get your fifth box free!